Under the Occupational Safety and Health Administration (OSHA) Asbestos Construction Standard, building owners are required to confirm or rebut the presence of asbestos prior to starting renovation or demolition activities. When entering into a project, Bonus Environmental, LLC will research and review past abatement documentation, results of sample analysis, material locations, and building drawings. Inspections for asbestos-containing materials (as well as other potential hazardous materials, including lead-based paint, CFC refrigerants, PCB’s, mercury, and others) are conducted by our certified inspectors in compliance with state and Environmental protection Agency (EPA) regulations. Once the pre-existing information is reviewed and the building inspection is complete, an asbestos management plan is developed. The plan includes the inspection protocol, sample results, material locations and assessments, recommended response actions, and cost estimates for removal of materials, as necessary. The management plan can be used to determine the quantity and location of asbestos materials that may pose a risk to human health and safety. The material assessment includes determining the degree of damage to the materials, friability, accessibility to the materials by building staff and occupants, and potential for air and/or water damage. We can then develop a written asbestos abatement specification that details the scope of work to be performed and how it will be conducted. As the project managers, we can give presentations to all interested or concerned parties; preside over pre-construction meetings; review contractor submittals; review regulatory notifications; communicate with local, state, and federal regulatory personnel; review contractor requests for payment; perform work area visual inspections and clearance approvals, and; document waste material disposal at approved landfills. 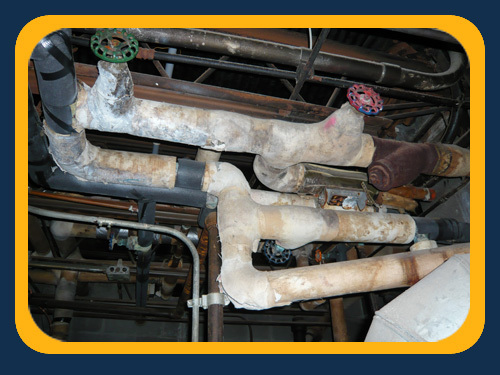 Asbestos abatement projects are typically required to have the abatement process designed by one of our accredited project designers. Bonus Environmental, LLC will identify the scope of the abatement work, will develop the project specifications, and assist the building owner with securing a qualified abatement contractor. We will do this while keeping the project on schedule, on budget, and in compliance with applicable regulations. Liability for employee and occupant protection under OSHA can be minimized by having a "third-party" provide asbestos air monitoring during renovation or demolition activities which are impacted by the presence of asbestos materials. During the asbestos abatement process, we will conduct airborne exposure monitoring. This monitoring includes background (baseline), area, personal, and clearance air sampling utilizing phase contrast microscopy (PCM) and/or transmission electron microscopy (TEM) analysis. Air sampling results are reviewed to determine if changes in the asbestos abatement methods are necessary, in order to reduce the airborne concentrations of asbestos fibers. The air sampling results are submitted to the building owner’s representative on a daily basis. Bonus Environmental, LLC’s laboratory and each individual analyst participate in the Proficiency Analytical Testing (PAT) program through the American Industrial Hygiene Association (AIHA). In addition, each analyst has successfully completed the NIOSH 582 equivalency course for fiber counting, as required by the NIOSH 7400 method for asbestos air monitoring and analysis. If the presence of asbestos has been confirmed or is presumed to be in a building, it is the employer’s responsibility to ensure that all employees who may come into contact with these materials are sufficiently trained. Bonus Environmental, LLC offers a full range of asbestos courses from awareness level training to contractor/supervisor level training. All courses are conducted by instructors approved by the State of Michigan. 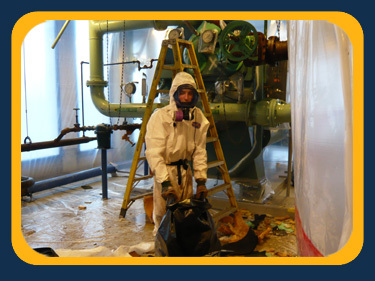 We provide training to asbestos workers, contractor / supervisor, school maintenance & custodial staff, engineers, architects, facility managers, and maintenance crews. Public and private K-12 school districts are expected to comply with the Asbestos Hazard Emergency Response Act (AHERA). This regulation requires that each school have all buildings that are owned by the district and used for school purposes to be inspected for asbestos building materials. They are also required to have 6-month periodic surveillance and tri-annual re-inspections by a third-party inspector. Each of these AHERA requirements can be performed by Bonus Environmental, LLC.